Nearly two decades passed between completion of the Moffat Road's line from Denver to Craig, Colorado and the opening of a tunnel under James Peak. In the meantime trains negotiated the "Giant's Ladder," a terrifying line over Corona Pass with 4-1/2 percent grades. Between blizzards and accidents the line was frequently closed. 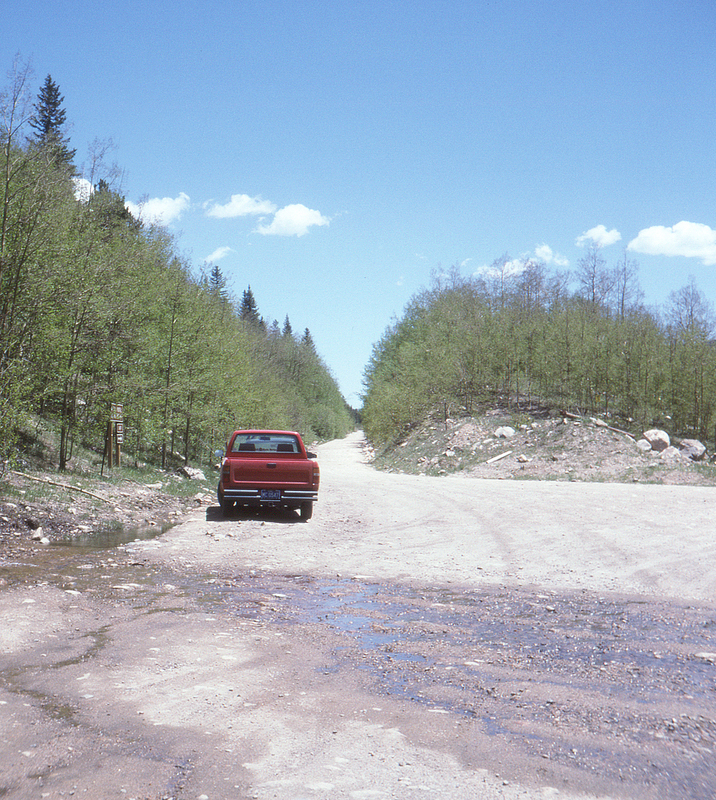 It was of course abandoned upon competion of the Moffat Tunnel, but the grade remains as a jeep trail, seen here from the end of the former wye off the original main line.